Army Chief General Bipin Rawat on Saturday, November 4, pitched for conferring the Bharat Ratna -- the country's highest civilian honour -- on independent India's first army chief, Field Marshal K M Cariappa. "The time has come to recommend Field Marshal Cariappa for the award of Bharat Ratna. If others can get it, I see no reason why he should not, a deserving personality for the same. We will shortly address the issue on priority," General Rawat said. General Rawat's comments came in response to a request by Colonel K C Subbayya (retd) from The Field Marshal Cariappa General Thimayya forum about recommending the Bharat Ratna to Fielf Marshal Cariappa who hails from Kodagu district in Karnataka. General Rawat unveiled the statues of Field Marshal Cariappa and General K S Thimayya, the legendary army chief who also hailed from Kodagu, at an event at the Cauvery College in Gonikoppal, Kodagu district. Terming Kodagu (formerly Coorg) as a 'land of warriors', General Rawat said he is proud, privileged and humbled for having got the opportunity to unveil the memorial in memory of Field Marshal Cariappa and General Thimayya. Kodagu continues to serve the nation with a large number of officers and men serving the Army, the general said, and voiced hope that 'there will be more chiefs in the future who will rise from this great land'. Then General Cariappa was the first Indian commander-in-chief of the Indian Army and was conferred the rank of field marshal on April 28, 1986. He was a recipient of the prestigious Order of the British Empire -- OBE -- for his role in the Burma campaign against the Japanese during the Second World War. Then General Cariappa led the Indian forces on the western front during the first India-Pakistan War in 1947-1948. He was the second officer to be conferred the five-star rank of field marshal, the highest honour in the Indian Army. Field Marshal Sam Manekshaw being the first. 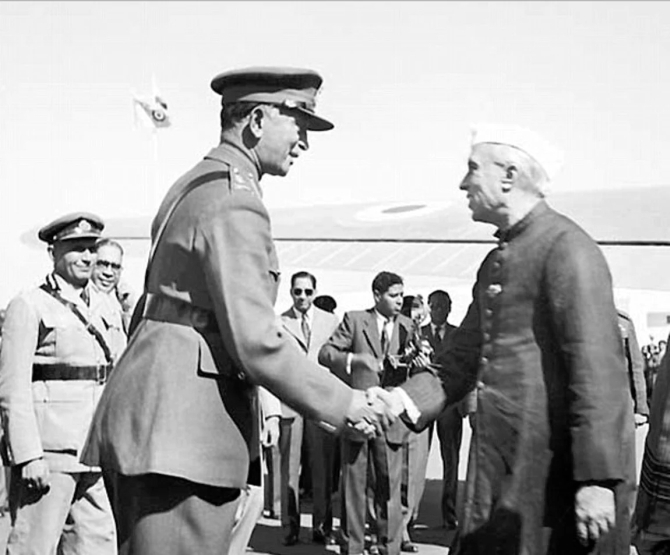 Then General Cariappa, whose military career spanned over three decades, retired from the army in 1953. He later served as India's high commissioner to Australia and New Zealand till 1956. The field marshal died in Bengaluru in 1993 aged 94.